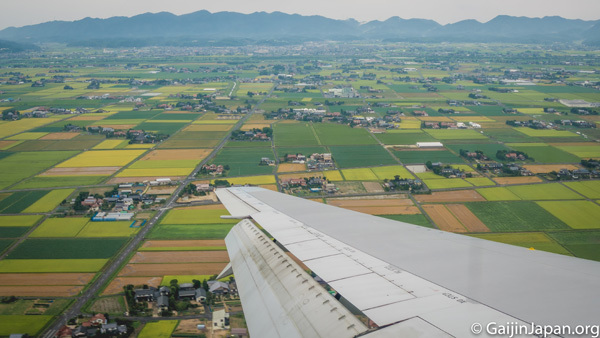 It is hard to imagine a better way to get to Tokyo than by direct flight with Japan Airlines. The twelve hours of the trip went almost unnoticed thanks to the many recreations on board, excellent food and the professionalism of the crew members. 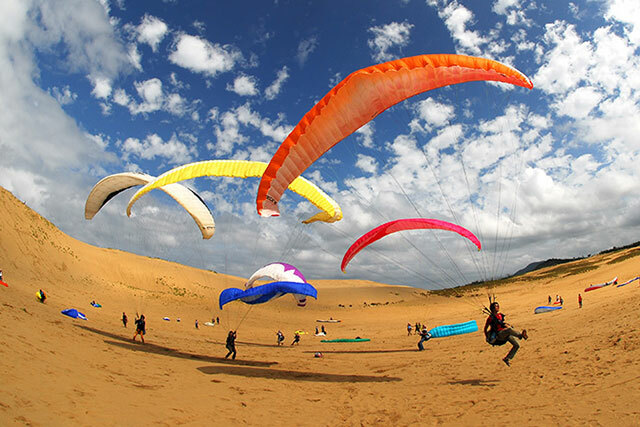 A perfect time to get in the mood and relish the itinerary of the next few days. 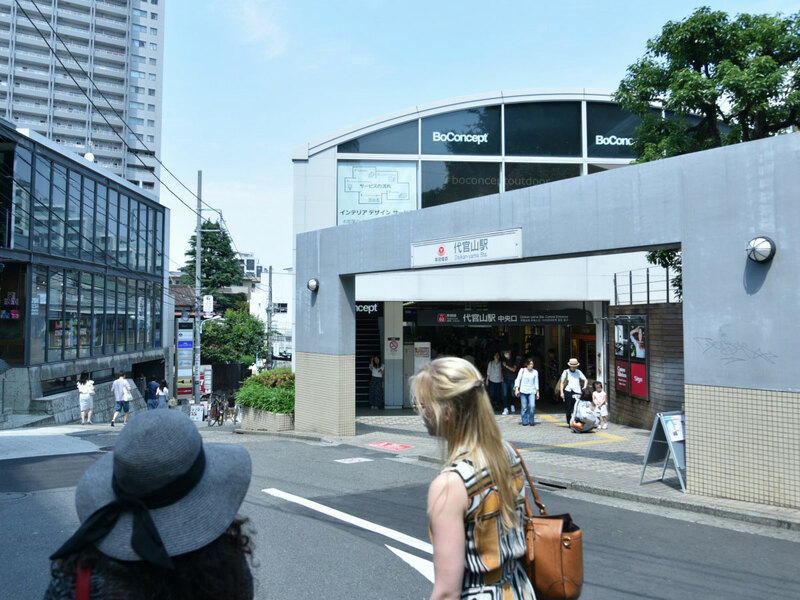 We went to the heart of Shibuya - a neighbourhood I had wanted to visit for a long time. 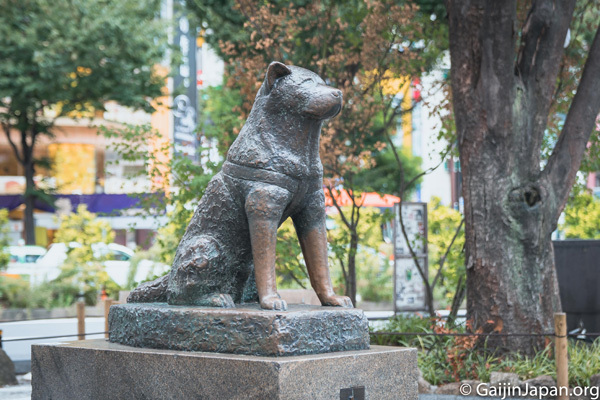 We started with Shibuya station and the Hachiko dog statue just across the street. I was moved by the story of a beautiful friendship at the origin of this little monument, but what impressed me the most was the famous Shibuya crossing, beautiful to see and photograph. We had lunch at the Suju Dining in Shibuya. 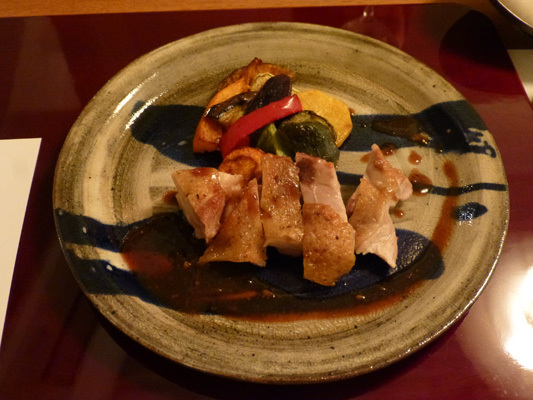 The immersion in Japanese cuisine went smoothly thanks to the well-balanced, light and simply delicious menu. 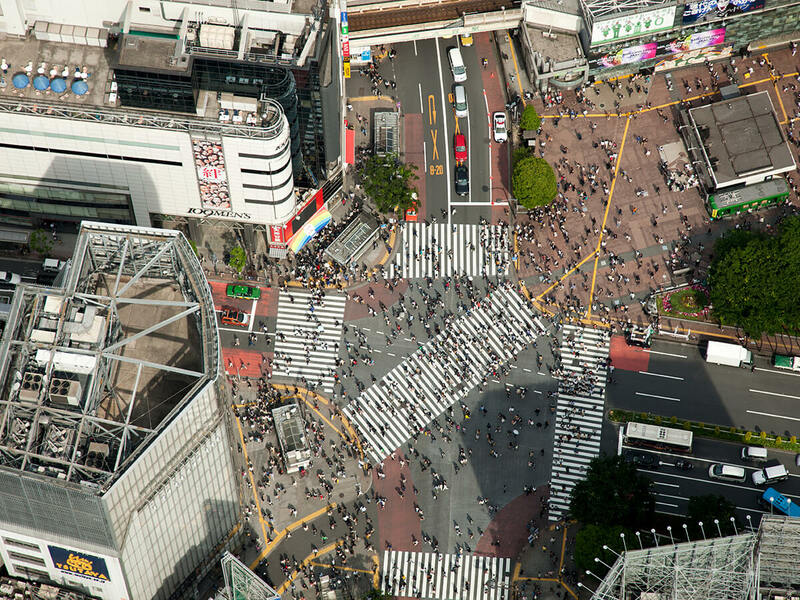 In this part of Shibuya, the famous Hachiko statue and the Shibuya crossing are clearly unavoidable. 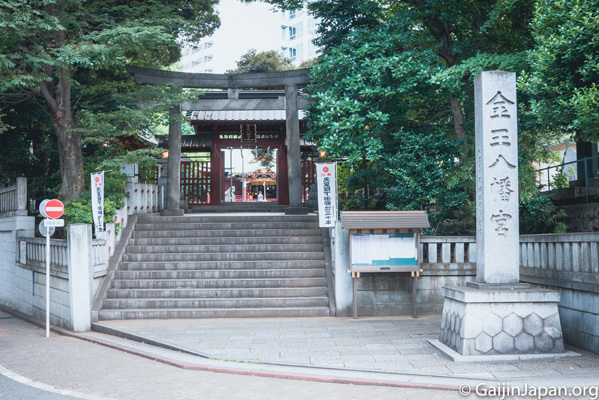 Add the Kanno Hachimangu, to also discover a little-known part of the Japanese capital's history. 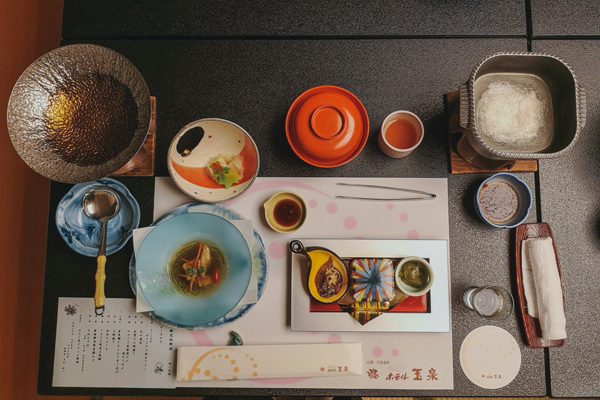 The menu of this restaurant allows you to taste Japanese flavours through new combinations of dishes. 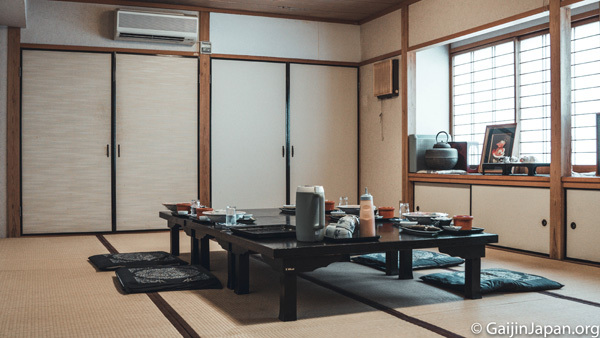 If you wish, you can also have your meal in a private room. 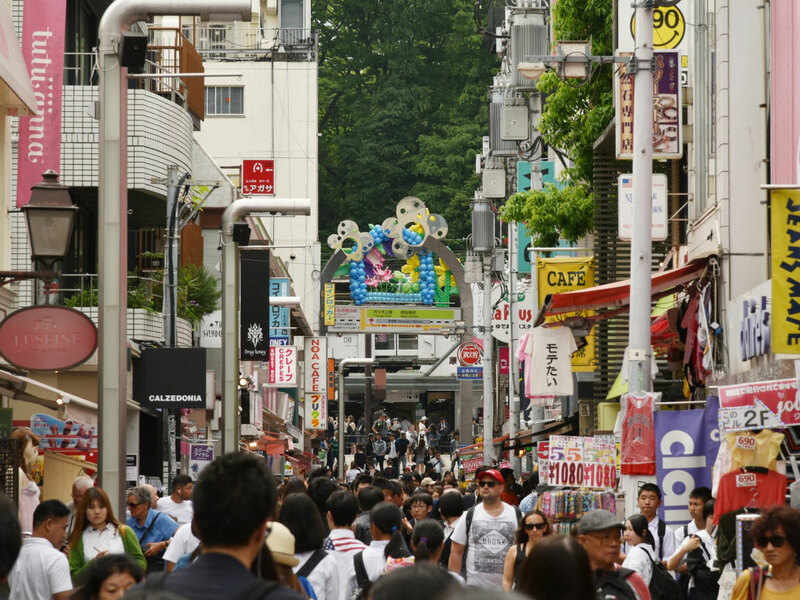 Takeshita-dori is a particularly busy street in the Harajuku district. 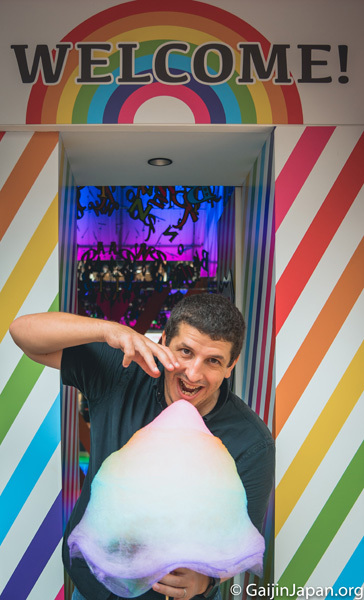 Shops with unlikely clothes, colourful cocktails, countless stands with pancakes and even a gigantic rainbow cotton candy - you can find everything! I could spend hours there. 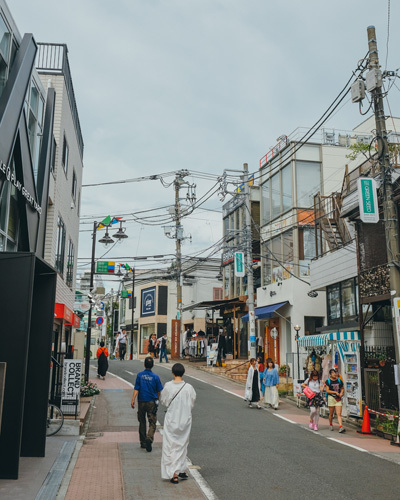 This neighbourhood is part of Ura-Harajuku. In this pedestrian zone, the independent shops and cafés create the atmosphere. There are also far fewer people, which allows you to fully enjoy the walk. 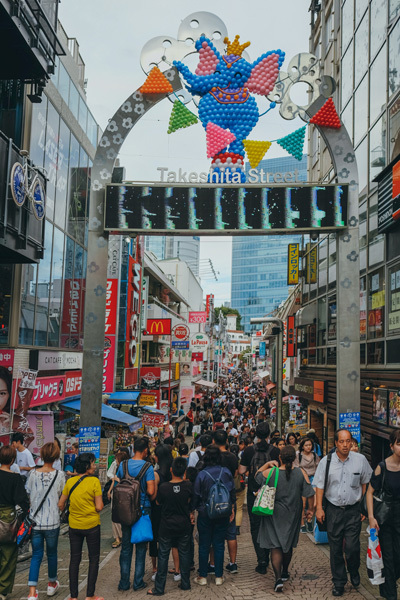 It is one of the most famous places in Tokyo, a colorful and lively street. A walk, window shopping and an excellent photo spot in the capital. 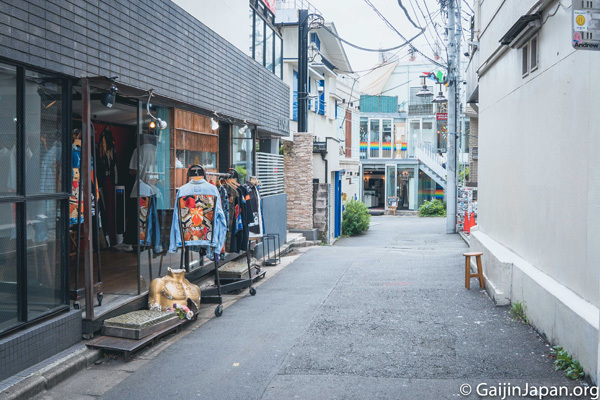 Ura-Harajuku ("behind Harajuku") or "Ura-Hara" is Harajuku's network of small streets with clothing stores and cafes. 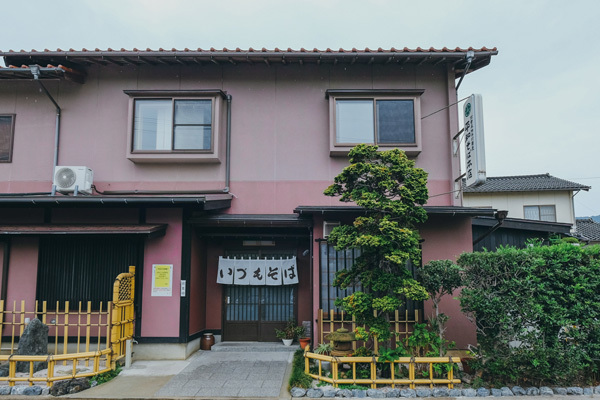 Ura-Harajuku, which has its own individualistic style in Takeshita Street and the upscale Omotesando district, has attracted attention in recent years. 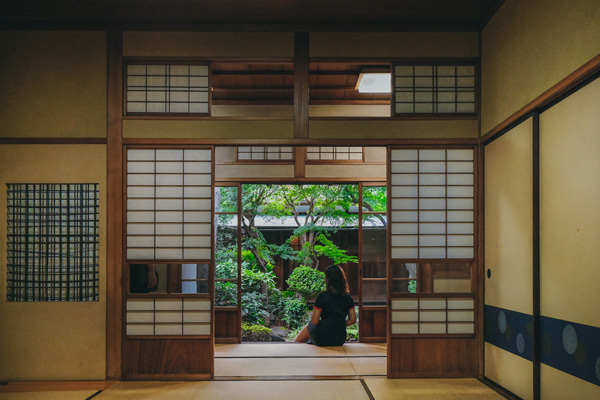 It is in the Daikanyama district that we found the Kyu Asakura house, a private residence built in 1919, magnificently preserved which gives a beautiful glimpse into a traditional Japanese house. 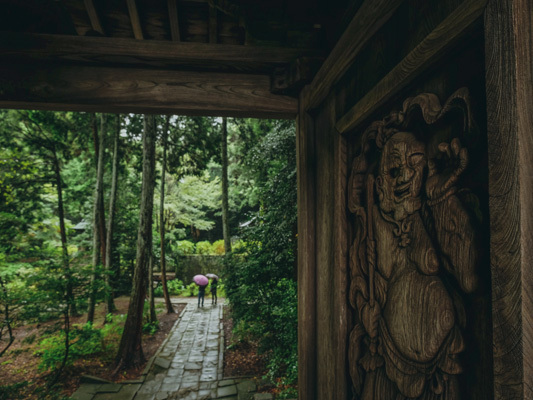 With its wooden architecture and meticulously maintained garden, it is a real hidden jewel in the district. 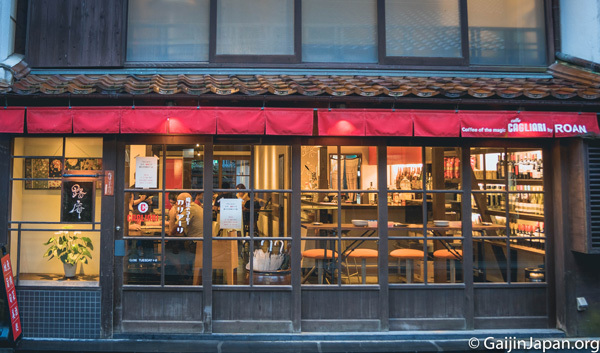 The discovery of Daikanyama continued with its quiet streets. I loved Tsutaya's bookstore with its cosy and modern design, but it was definitely a small shop with vintage cameras that stole my heart. This small restaurant only has a few tables and the atmosphere was very peaceful and relaxing. 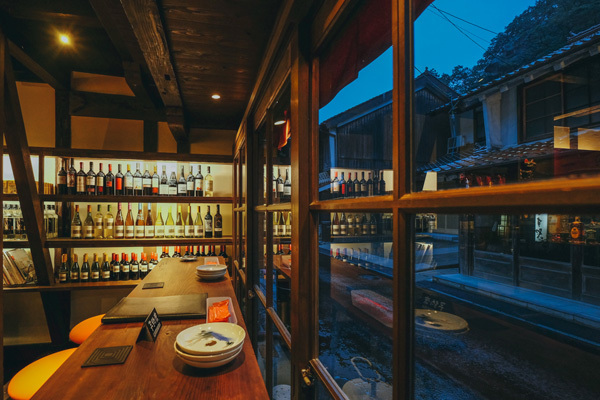 A perfect place to enjoy raw fish, fresh vegetables and a glass of white wine. 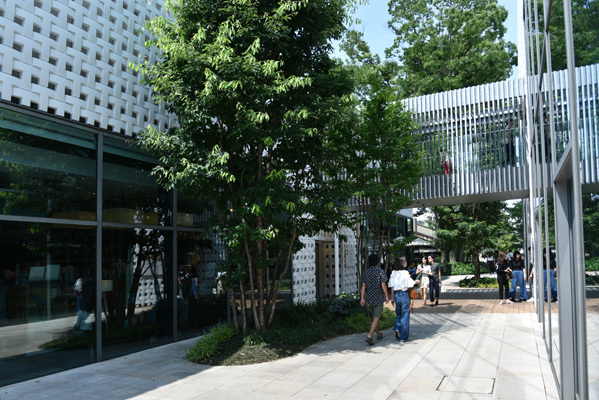 Daikanyama is a chic, trendy and dynamic area of Tokyo. 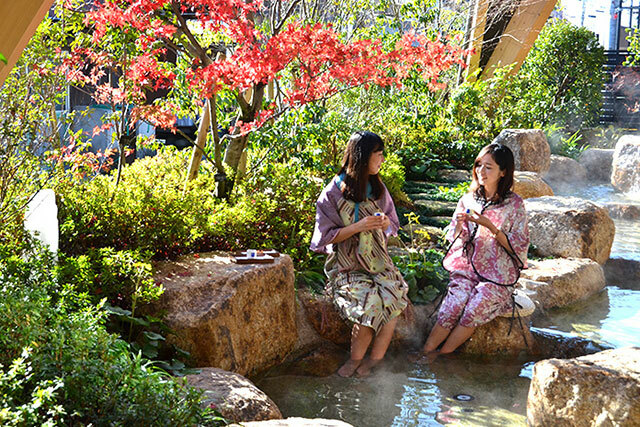 Here, many young people, especially girls, will come to stroll, have a coffee, relax, read a book or much more. 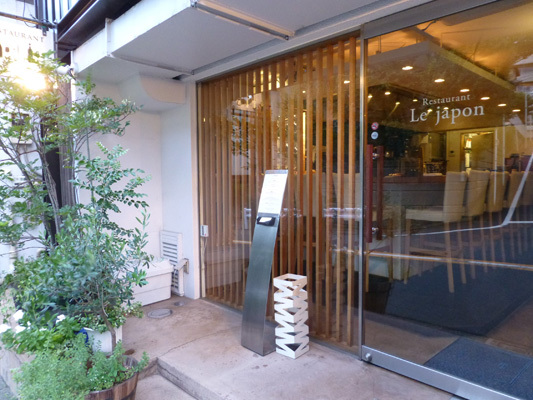 The restaurant "Le Japon" has a refined, simple setting that gives a top-of-the-range impression. 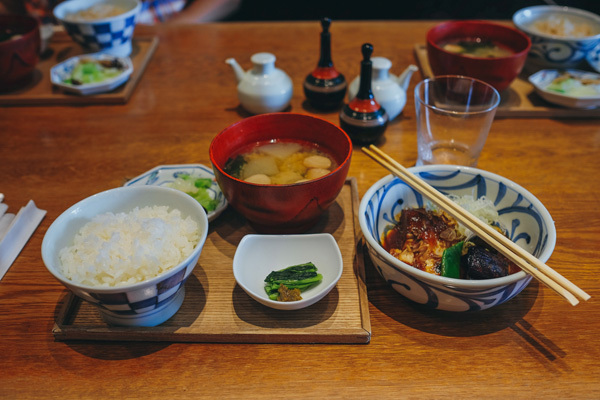 The meal also follows these principles and the flavours, Japanese and French, mix naturally. I really appreciated the elegant and sober design of this establishment. 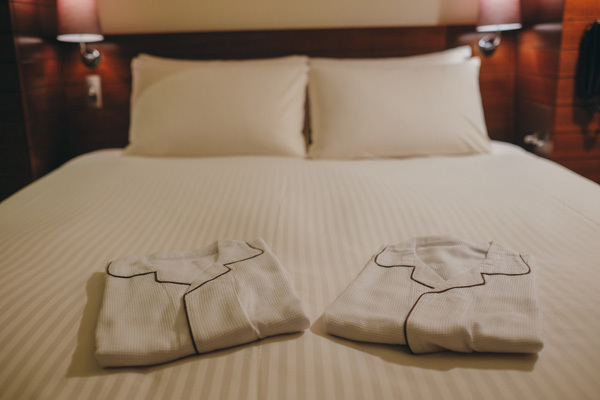 A perfect place to enjoy a hot shower, a cosy bed and a well-deserved rest before the morning awakening the next day. 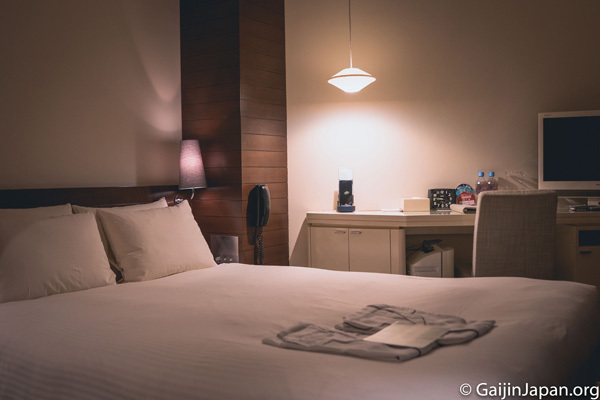 Shibuya Granbell Hotel is well located, in the heart of the Shibuya district with well-equipped rooms, offering more than enough to spend a good night's rest in the Japanese capital. 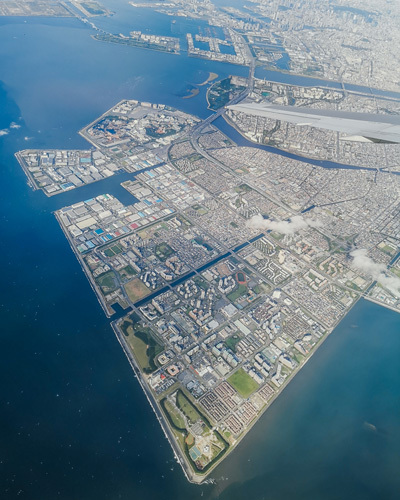 The comfortable seats, legroom and discreet service were sleep inducing, but the spectacular view of Tokyo did not allow me to close my eyes and I took a lot of pictures. 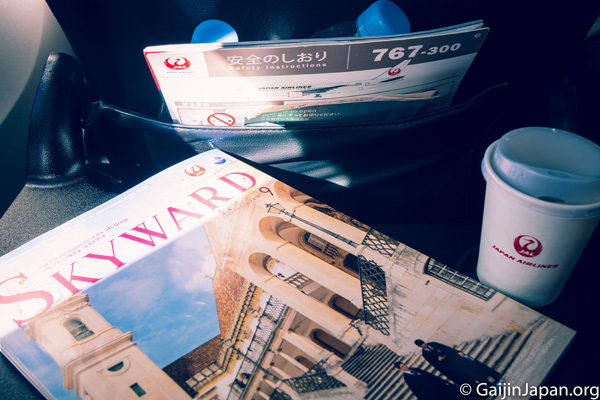 The JAL flight to Shimane is short and above all very comfortable. 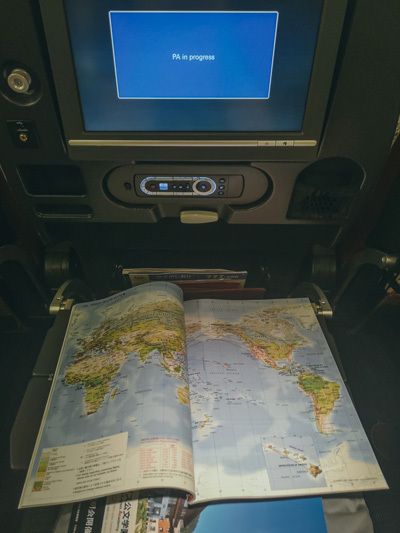 Everything is done to make the most of this express flight with a quality welcome. 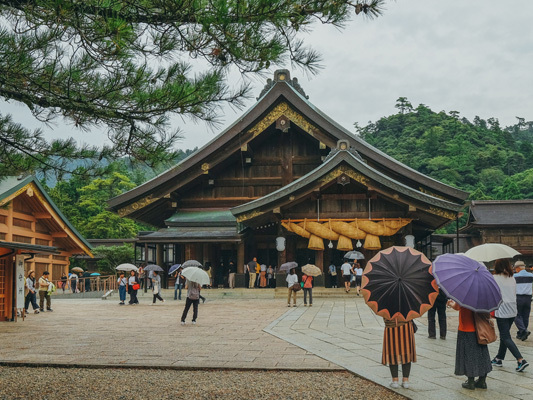 We learnt more about the history of this region, as well as look at a permanent collection dedicated to the great sanctuary of Izumo and admire an impressive gallery of bronze artefacts. 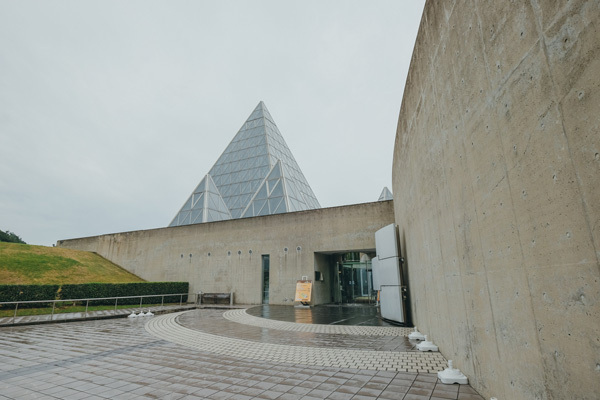 As a photographer, I particularly liked the very modern building that houses the museum, with its clean lines and beautiful light. 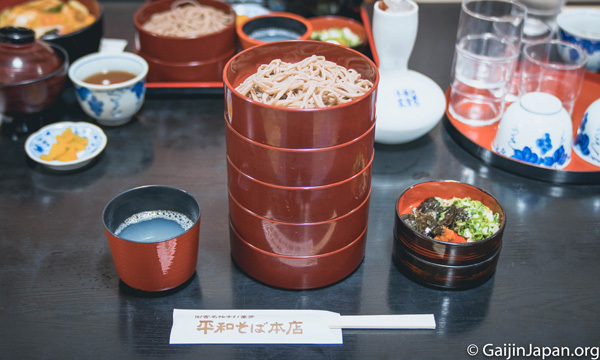 We were very satisfied with the delicious lunch we had at the main restaurant Heiwa Soba. I could not imagine a better place to taste one of the region's specialities. 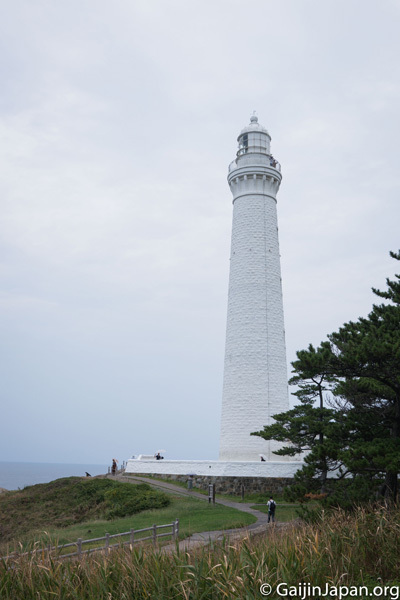 The walk around the Hinomisaki lighthouse was very pleasant. The sea, the changing sky and a white lighthouse allowed some rather picturesque views. A boat tour that was planned for that day could not be done due to the very wet weather. 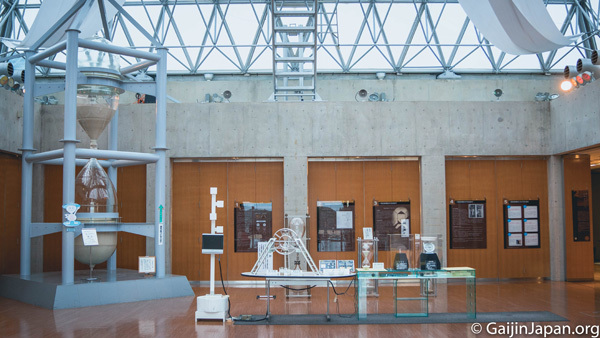 Here, it is a unique place where you can find, among other things, countless samples of the world's beach sand and the world's largest hourglass suspended from the ceiling. 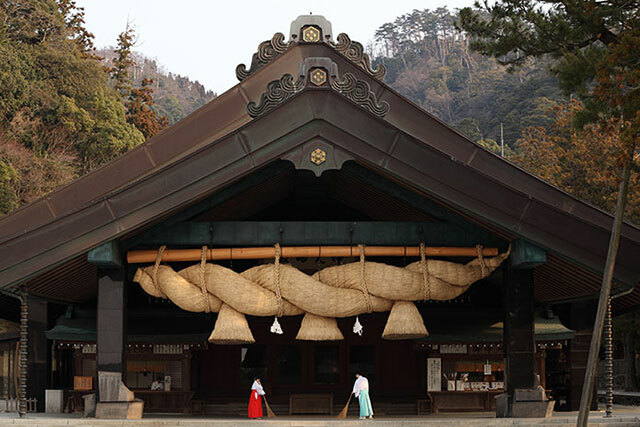 The Izumo-Taisha Shrine in Shimane is a must-see. 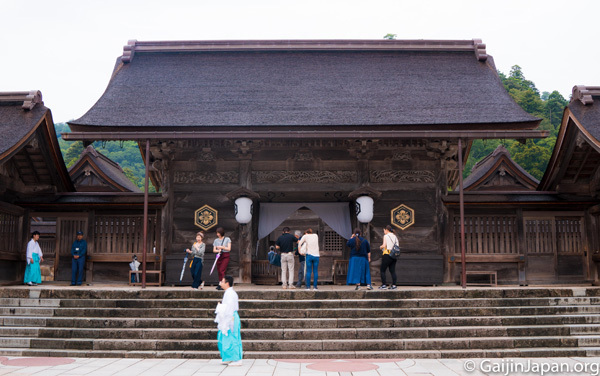 It impresses by its size and despite the crowd, you can feel a certain religious calm. 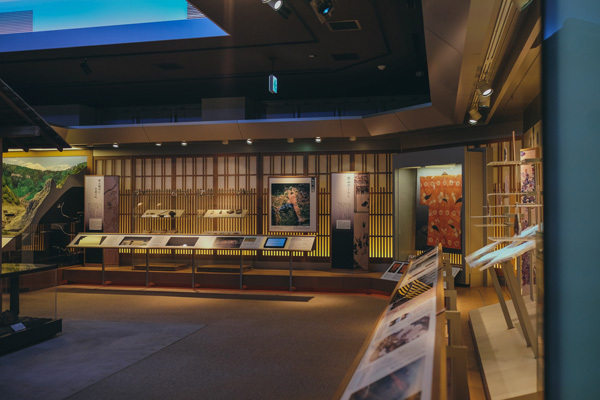 The Museum of Ancient History in Izumo opened its doors in Izumo in 2007. 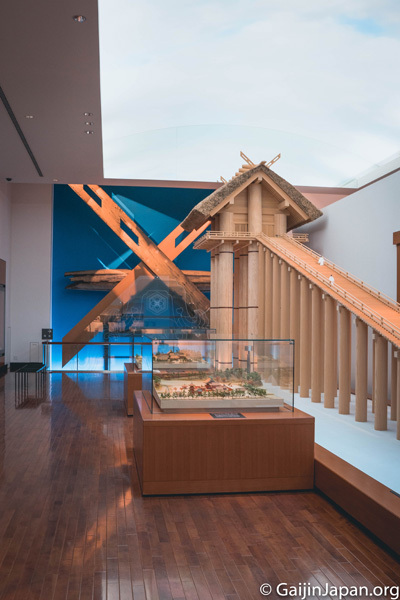 Visiting this museum, you have an exceptional opportunity to learn more about the history of the city and the Izumo Shrine as well as bronze artefacts. Simple meal, but simply good. 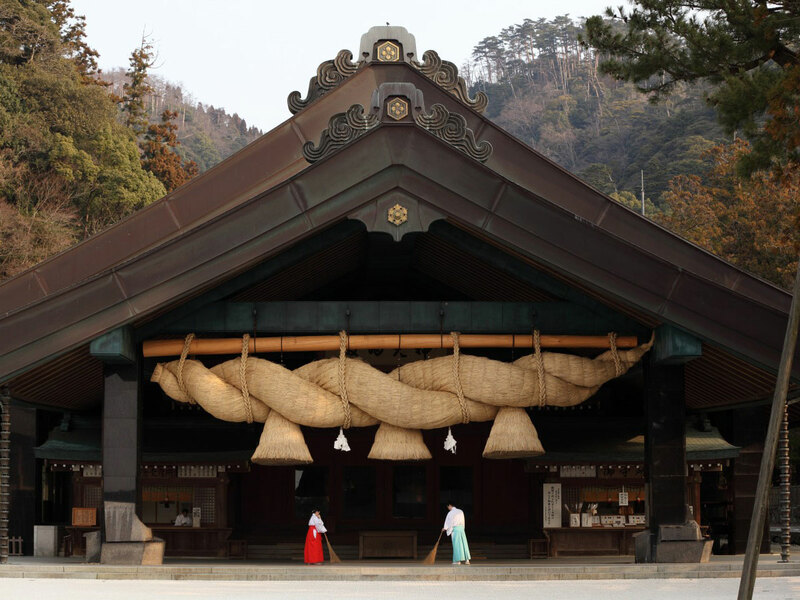 In Heiwa Soba, in a local setting near Izumo Taisha, you have the opportunity to enjoy, in varying quantities, the famous Izumo Soba. 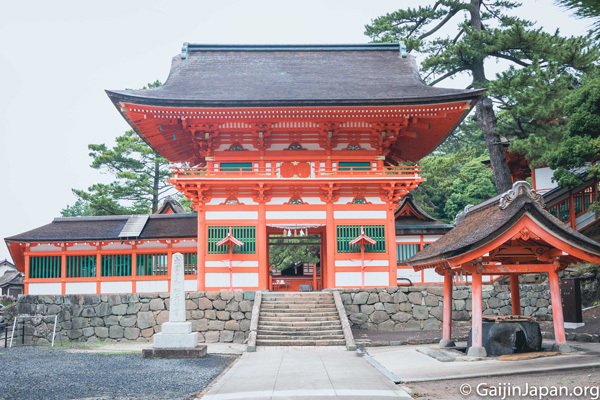 The Hinomisaki Shrine is striking for its vermilion red colour and its location by the Sea of Japan. The bright colours and marine scents give you an opportunity to enjoy the space through your senses. 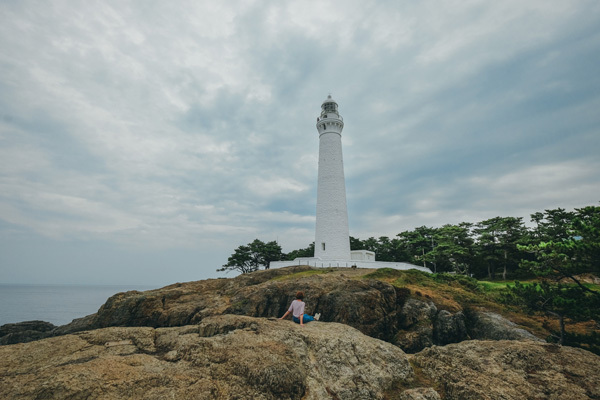 As for the lighthouse, it benefits from the beauty of the location and its environment. 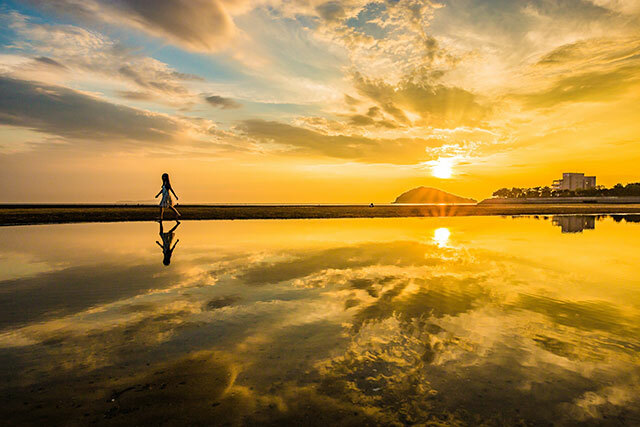 The sunset there is beautiful and photo lovers can only enjoy this location. Original! This is how the Nima Sand Museum could be described. 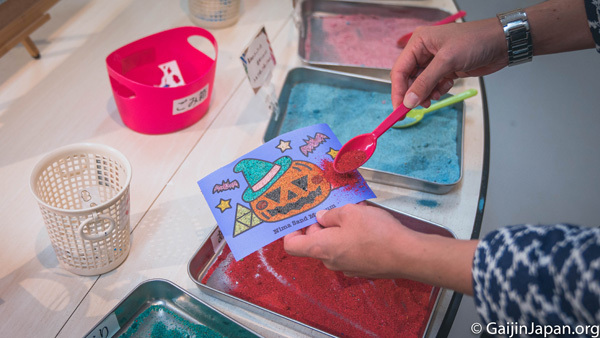 No one suspects that it is so much fun to visit the Japan Sand Museum. 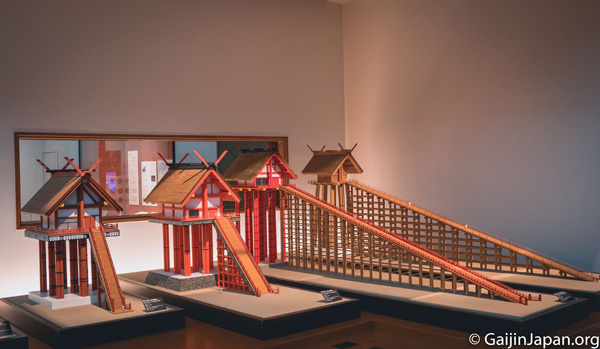 In addition to the world's largest hourglass, which lasts 365 days, the museum's activities are fun and suitable for young and old alike. 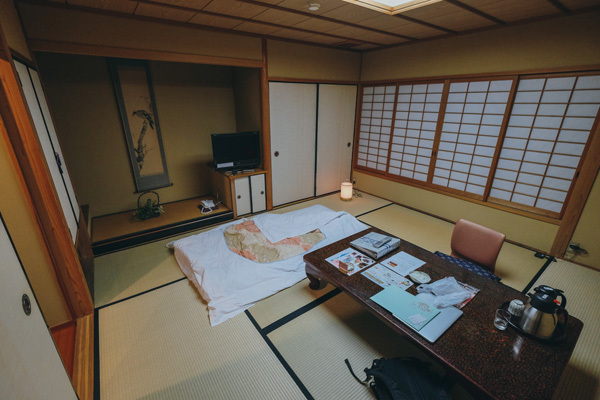 The ryokan was an old wooden house, full of charm, with a rather modern decor. We tasted fresh salads, seafood and fish. 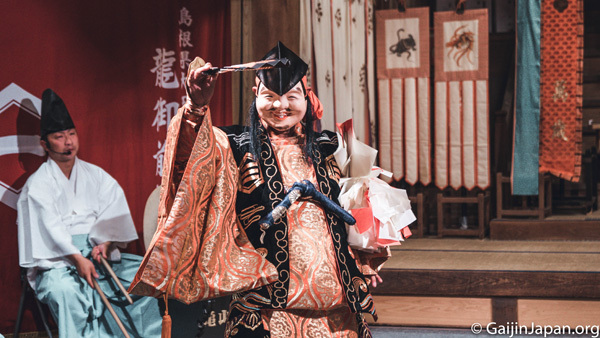 The evening was far from over and after dinner we went to the Iwami Kagura show at the Ryuonzaki Shrine in Yunotsu. We watched two performances. 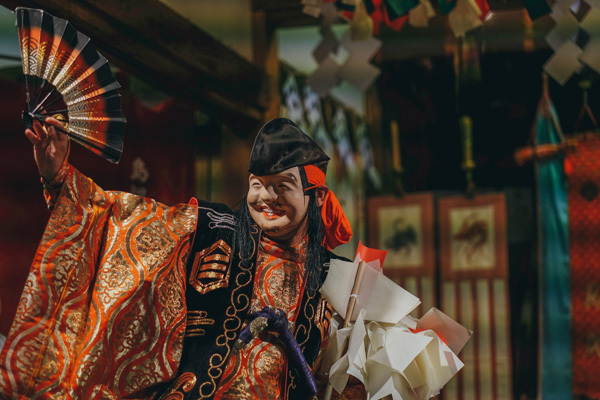 I spent a really extraordinary time admiring the fantastic costumes and learning more about Japanese mythology, while laughing with the rest of the audience. 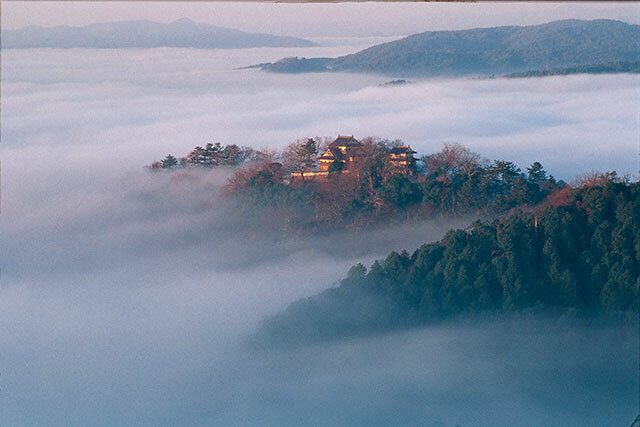 Nogawaya is an inn founded at the beginning of the 20th century. 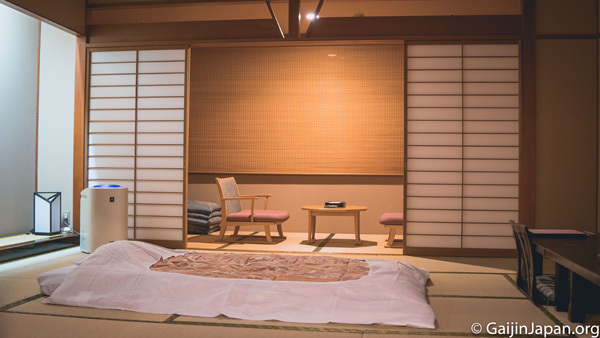 Before I enjoyed my futon, prepared during my absence, I had the chance to relax in a private onsen available in this establishment. For dinner, we had westernized cuisine in a refined setting, with colours worthy of workspaces, giving the room the feeling of a workshop. 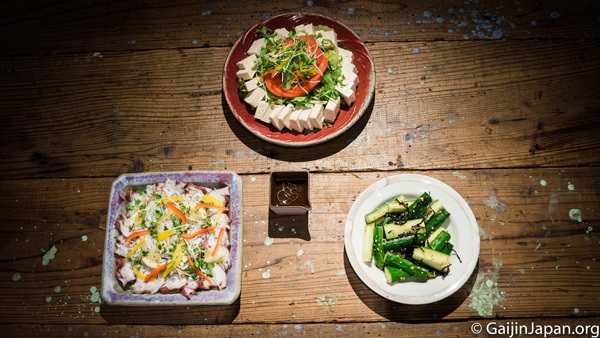 The dishes are delicious, and the service is of high quality. 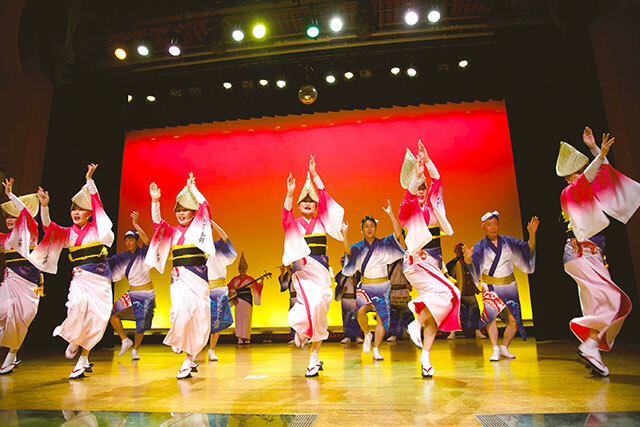 The Iwami Kagura dance performance is impressive, breathtaking and above all, exciting! Being very close to the performance gives an incredible dynamic to the show and allows you to immerse yourself in the story that is being told before you. 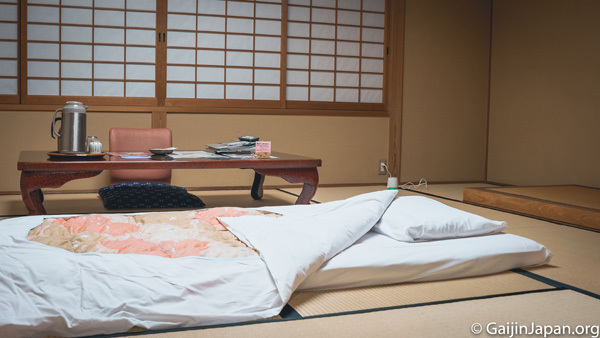 The atmosphere of the establishment, the colours... everything makes you feel that this ryokan has a History, a past, and sleep there is of a real comfort. 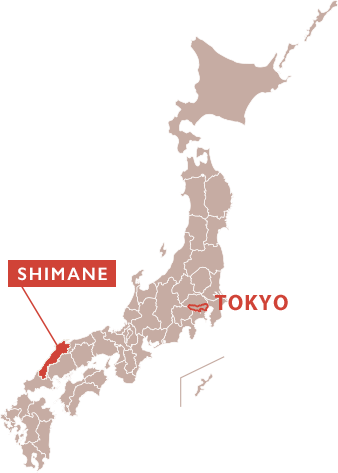 Iwami Ginzan is one of Japan's largest silver mines, which, at its peak, produced about one-third of the world's silver production. 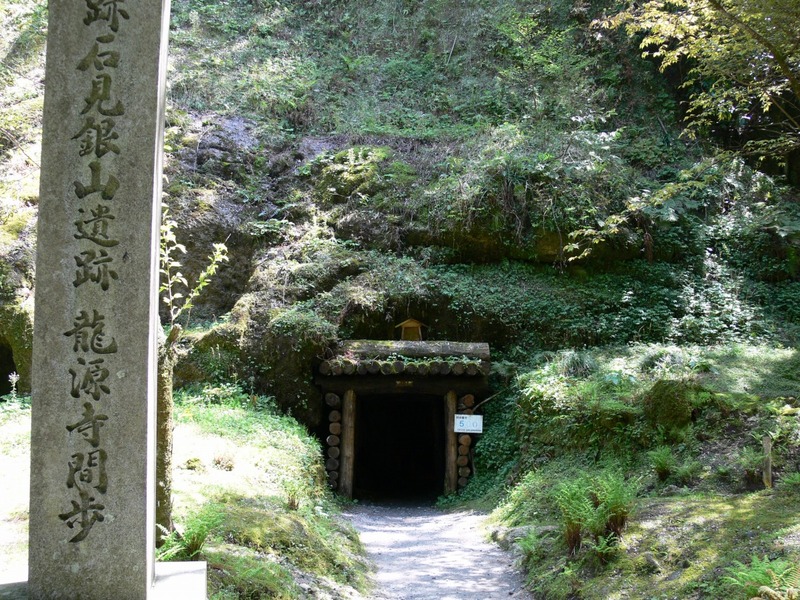 Today, the entire region around this mine, which is located in the city of Oda, is a World Heritage Site. 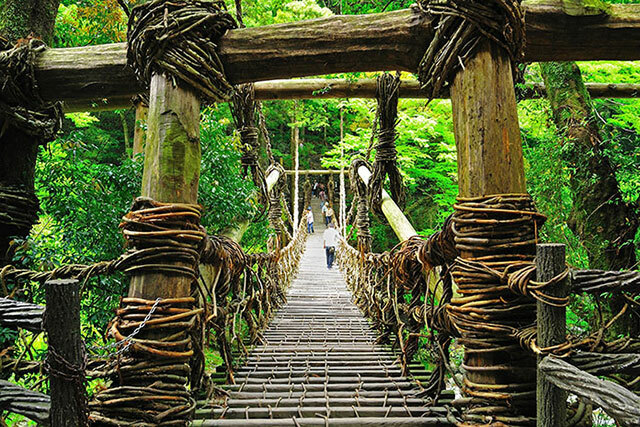 In the Iwami Ginzan Heritage Centre we learned a lot about the history of this unique place in the world, as well as the techniques used in the mine at the time. 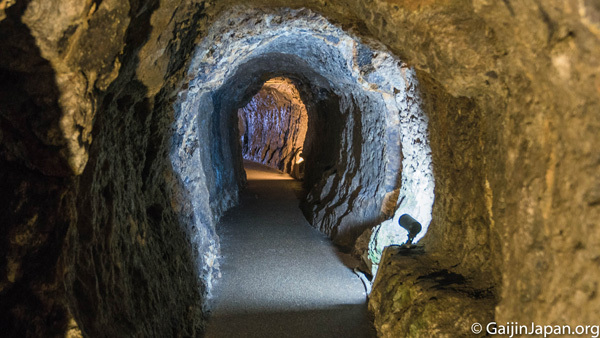 This was a perfect introduction before the visit to the mine itself. 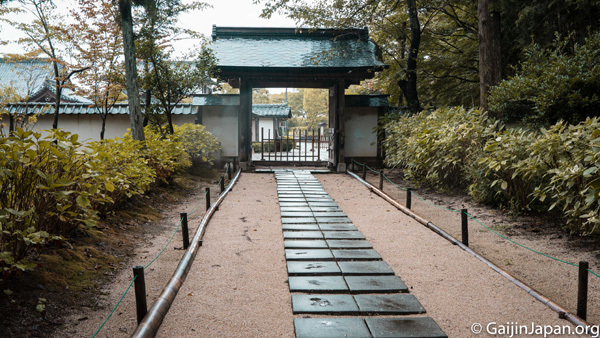 It was just the right time to admire Iwami Ginzan Park with its beautiful trees and lush, beautiful greenery in the rain. 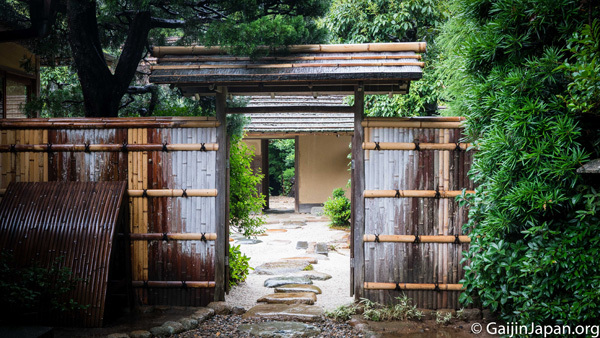 Once there, we entered one of the galleries that is open to the public - the Ryugenji. 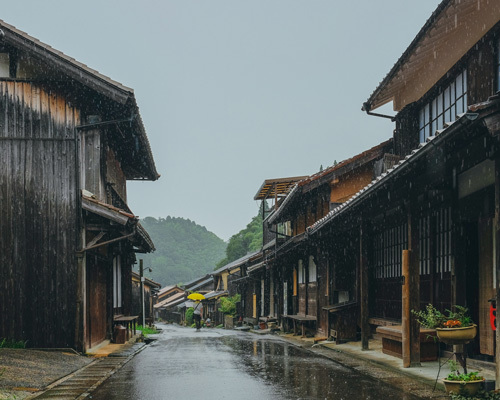 Heavy rain only added to the incredible atmosphere of this charming village, with its old wooden houses. 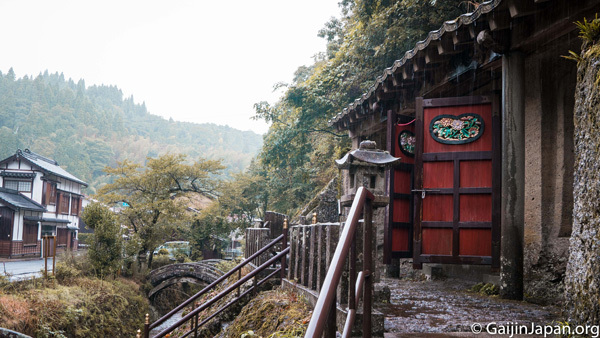 In Rakan-ji temple, many small stone bridges lead to Buddhist statues, housed in three caves. It was an unforgettable experience. 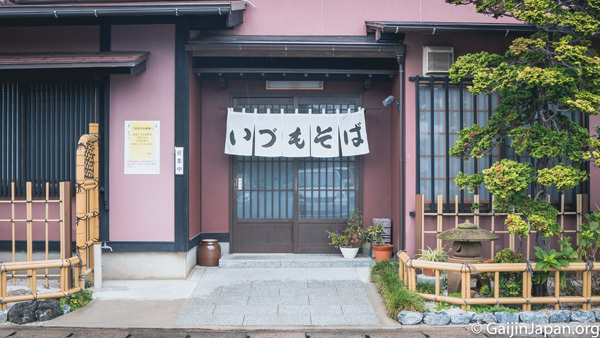 An ideal place to enjoy delicious fish in a traditional Japanese setting. 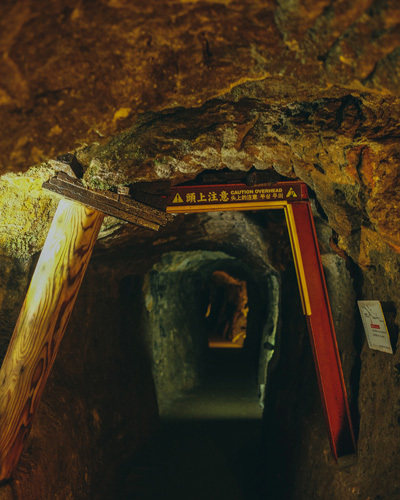 In Iwami Ginzan (Iwami Silver Mountain), you can learn about the rich history of mining in Japan. It is worth a look. 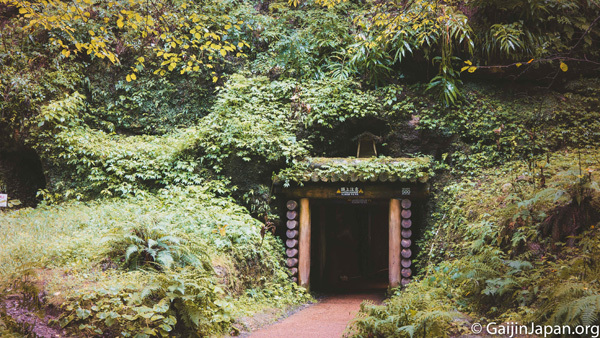 The visit is easy, and the walk in the middle of nature to the mine is relaxing. 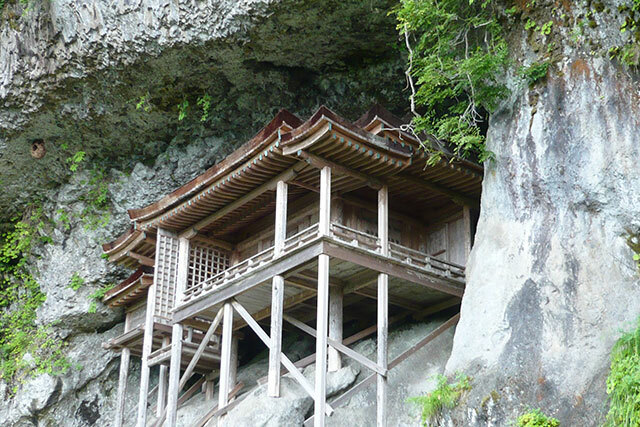 It was added to the World Heritage List in 2007 as the "Iwami Ginzan Silver Mine and its Cultural Landscape". 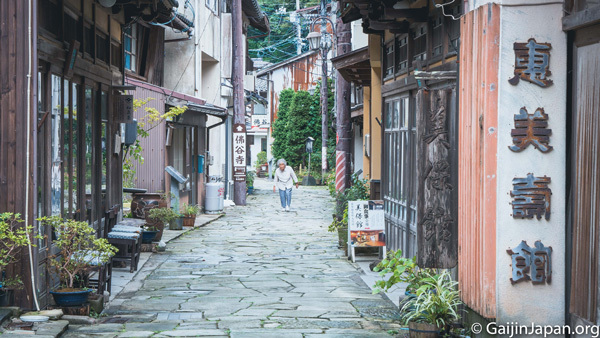 What can we say about these old streets, still inhabited, housed in the mountains if not that they add an undeniable charm to the visit. 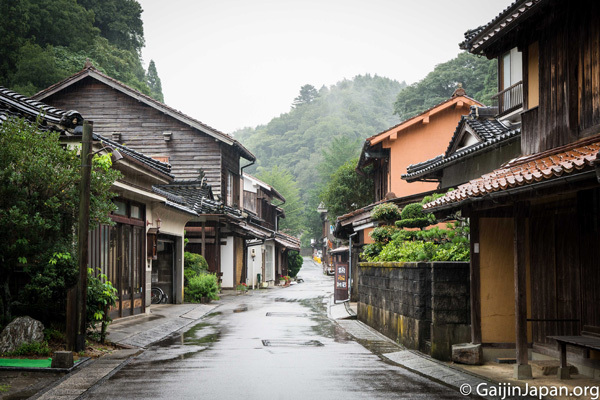 Some more Japan, old, natural colours... a walk in the village of Omori showed everything you are looking for in a true Japanese visit. 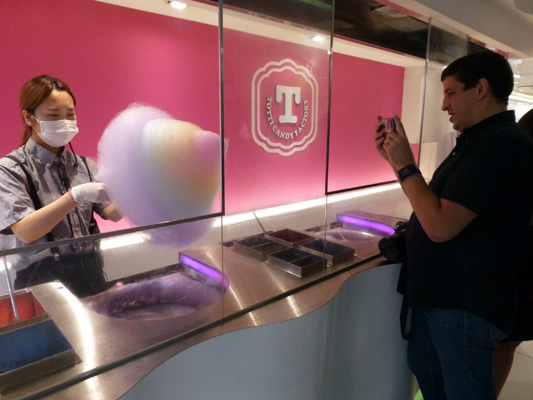 And the place is perfect for beautiful souvenir photos. 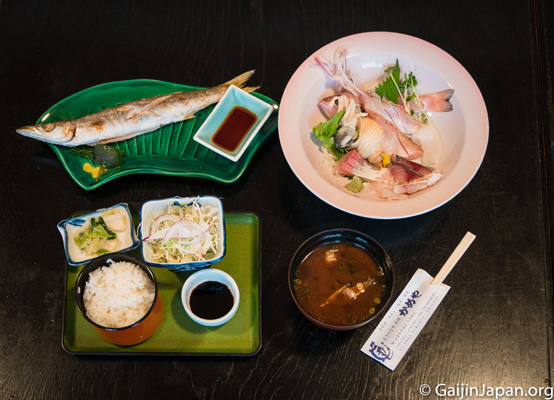 Our lunch was a simple but tasty meal with its freshly caught fish that can be enjoyed in different forms. 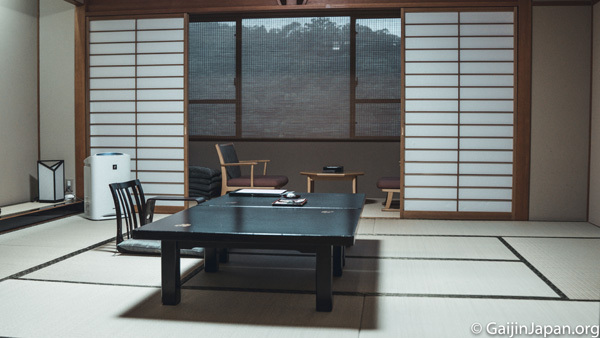 The setting of the restaurant is minimalist and typically Japanese. 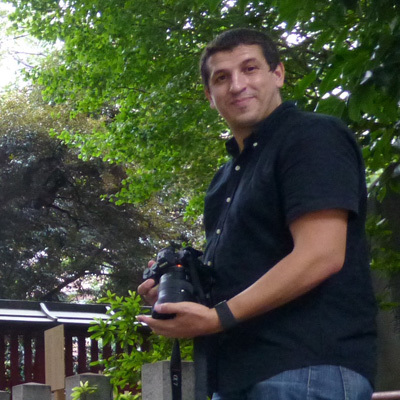 Despite having been to Japan several times before, I have never had the opportunity to visit a castle. I was not disappointed. 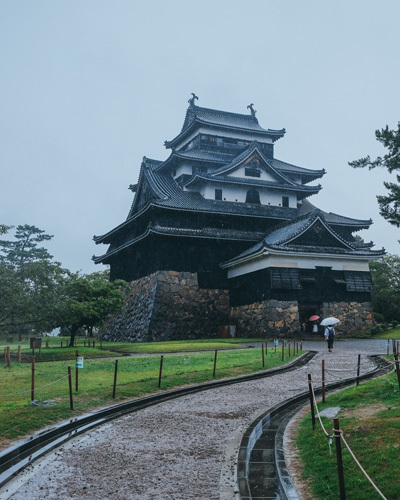 Matsue Castle proved to be both very imposing and elegant, thanks to the slightly curved roofs that make the silhouette of this building both graceful and majestic. 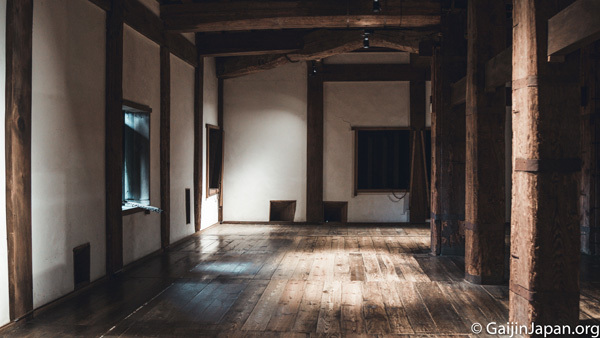 It was with great pleasure that I explored the interiors of the castle and learned more about its history. 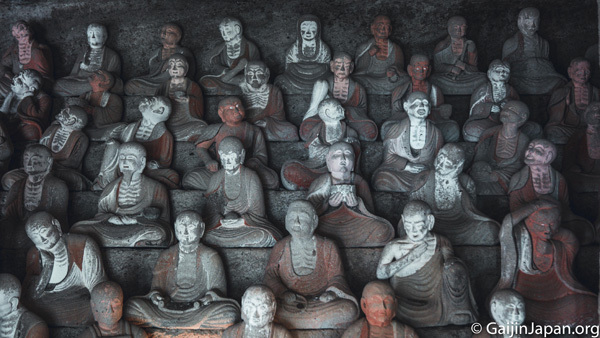 What an opportunity to visit one of the last authentic dungeons preserved in Japan! 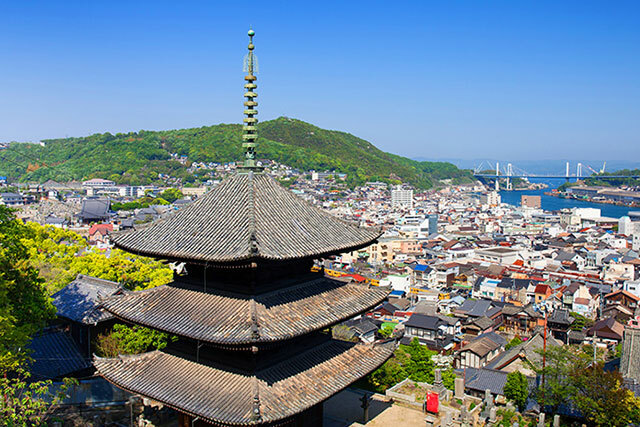 Once we climbed to the very top floor of the castle, we were dazzled by a breathtaking and panoramic view of the surroundings. A perfect opportunity to take some wide-angle photos. 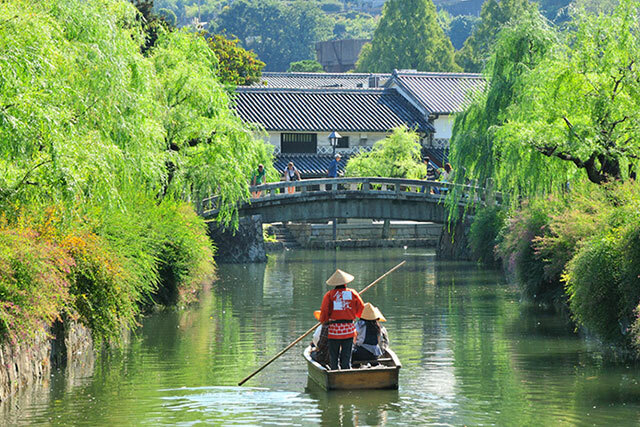 After the visit to the castle, we should have taken a boat ride on the Horikawa River. 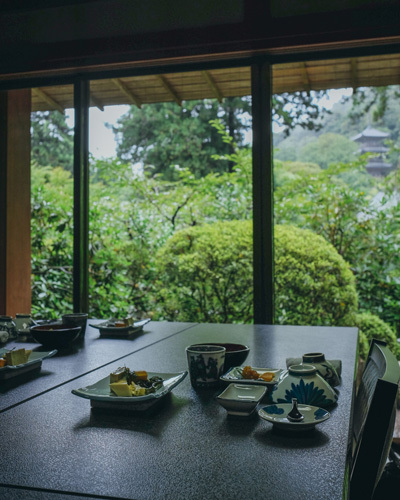 Alas, once again, due to the bad weather, we instead went to a tea house, located in the Meimei-an garden in the town of Matsue. It was a real moment of relaxation. 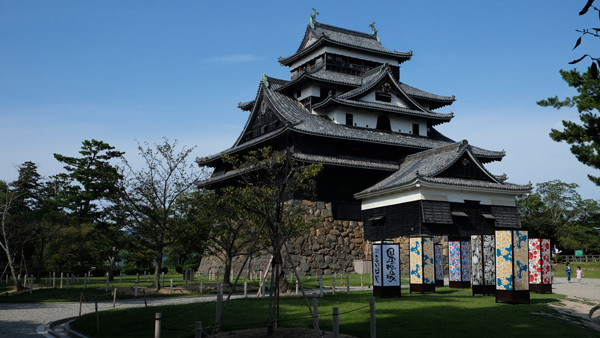 Matsue Castle is one of the 12 original castles in Japan and one of the most beautiful, due to its general environment but also its black wooden structure. 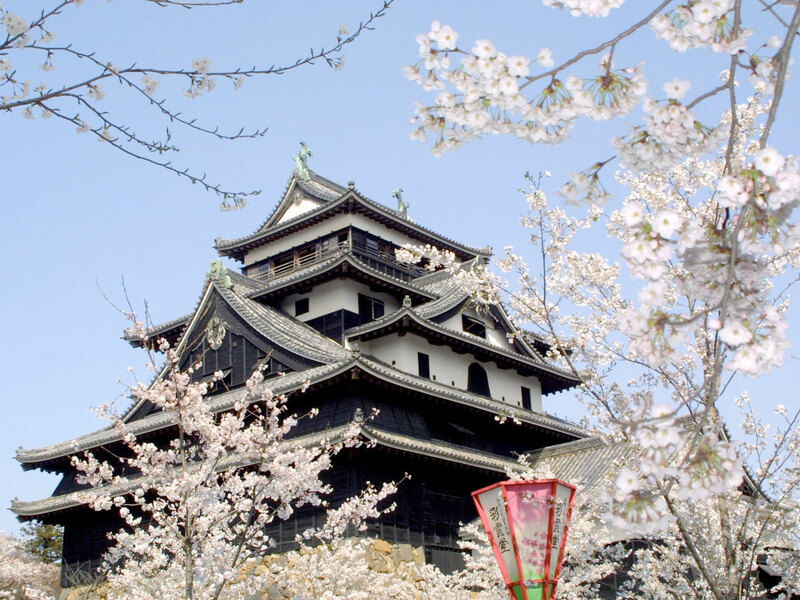 It has all the charms you would expect from a real Japanese castle and offers a charming view of the city of Matsue from the top floor. 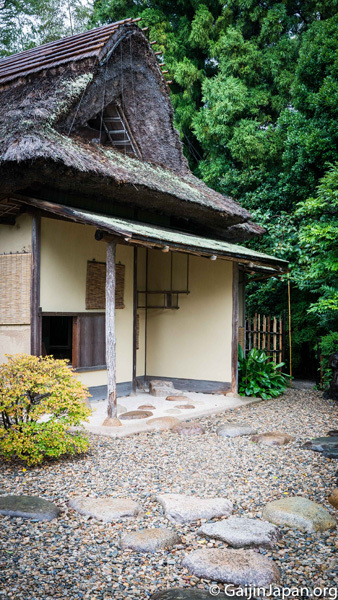 After visiting Matsue Castle, we went to Meimei-an, a historic tea house with a view of the garden. 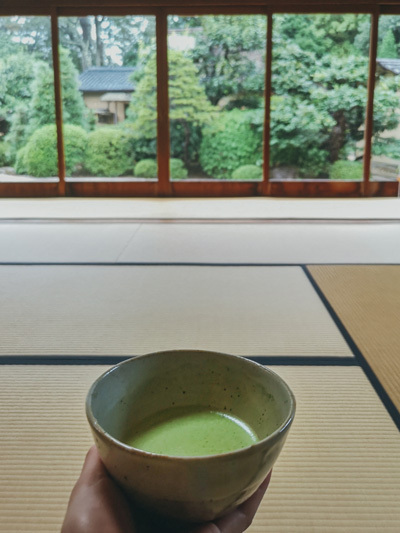 Its simplicity makes it charming and the setting is relaxing, even more so if you take advantage of the place to enjoy matcha tea, with a superb view over the garden. A most Japanese experience. That evening we had dinner at the Gyokusen Hotel, where we also spent the night. 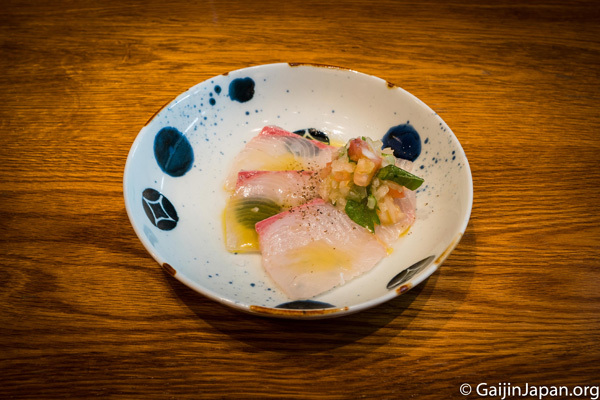 I was amazed by the beauty of the plates and a simply magnificent presentation of the dishes. 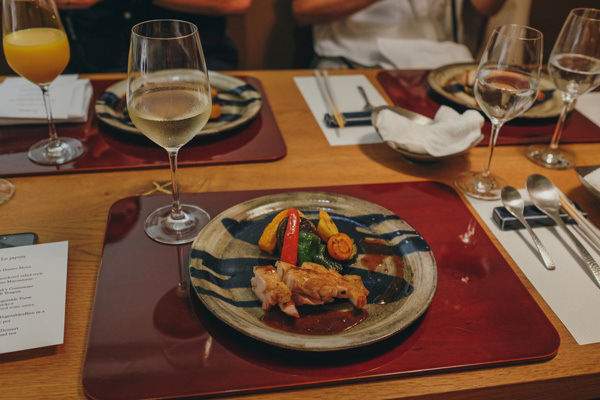 Among the delicious fish, crunchy vegetables and soups with surprising flavours, we had the chance to taste beef from the region. 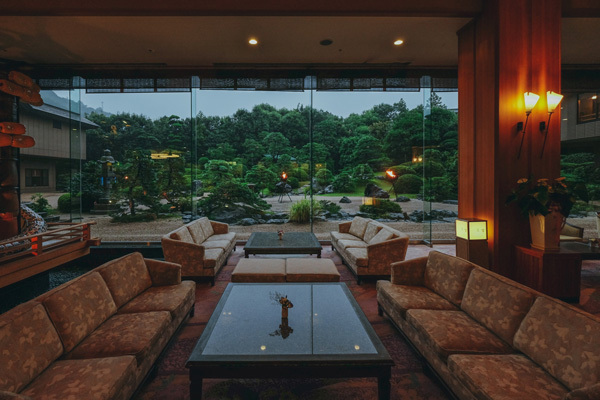 The sumptuous lobby, with a beautiful view of the garden, allowed us to guess the high level of comfort of the rooms awaiting us. 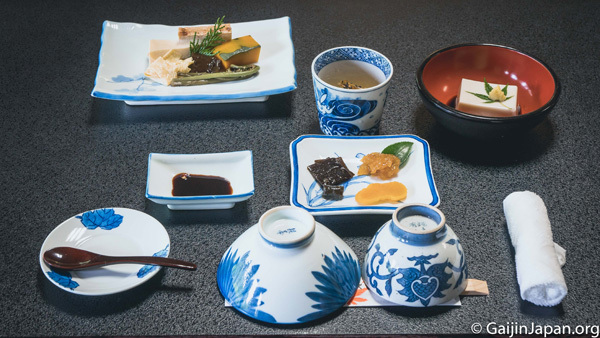 We had an excellent dinner, the famous Kaiseki, which allowed us to taste the different flavours of refined Japanese cuisine. All this served in an elegant manner. 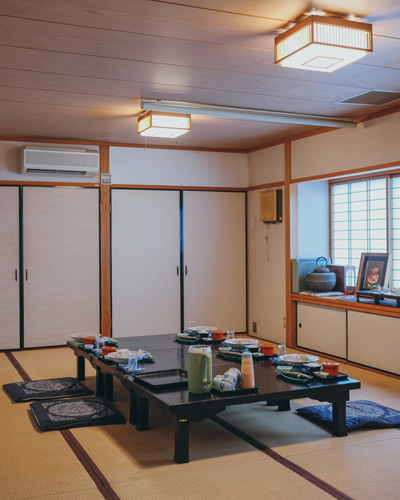 A luxury hotel, Hotel Gyokusen offers a quality service and welcome, and this allows you to rest after a day full of visits to Matsue and its surroundings. I really enjoyed this little morning walk, still in the rain and in the middle of lush vegetation. 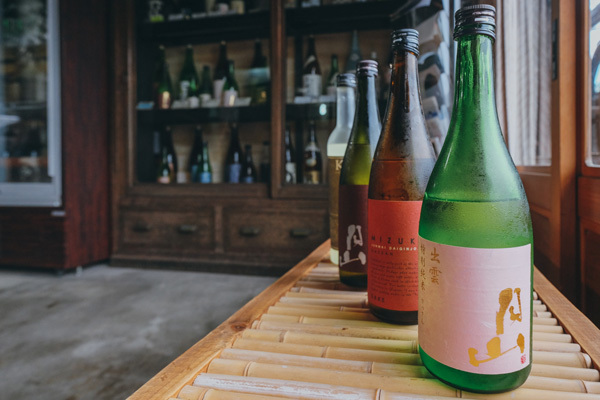 The discovery of Shimane Prefecture would not be complete without a visit to a sake brewery. 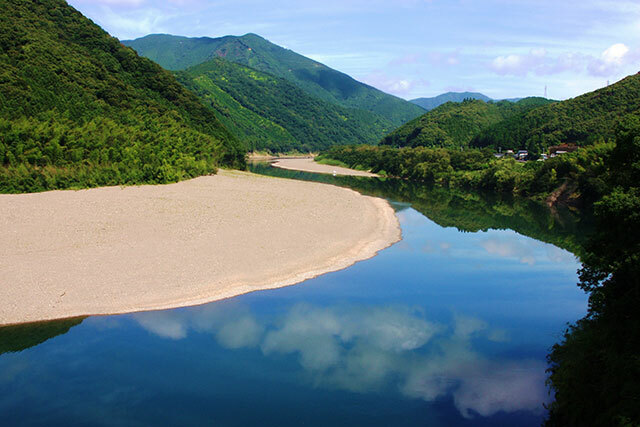 Crystal clear water, excellent quality rice and skilled brewers - that's what it takes to make exquisite sake in this region. 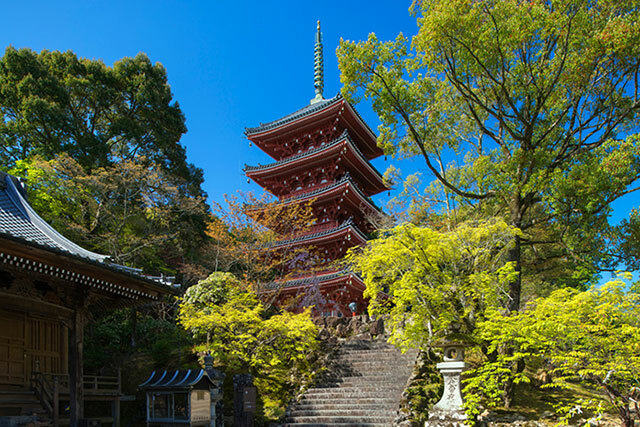 Gesshoji Temple has a rich and dense history, a sublime setting thanks to all the nature that surrounds it. The location is both relaxing and soothing.It gives you the opportunity you to take beautiful pictures. 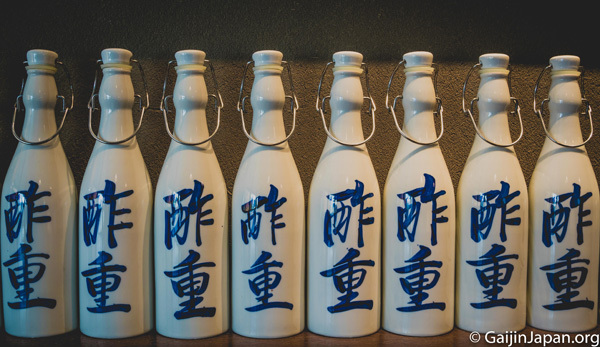 A visit to Yoshida Shuzo's brewery was a great opportunity to learn a little more about Sake production. 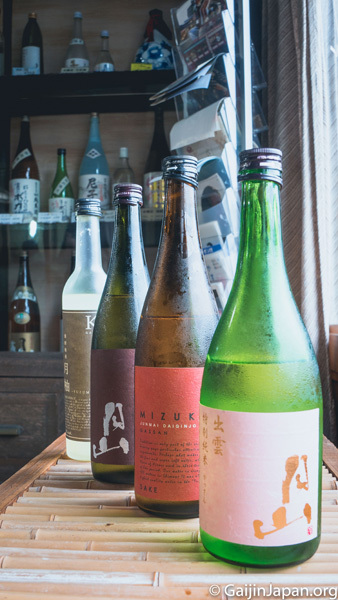 It was interesting to get to know this popular Japanese alcohol better. 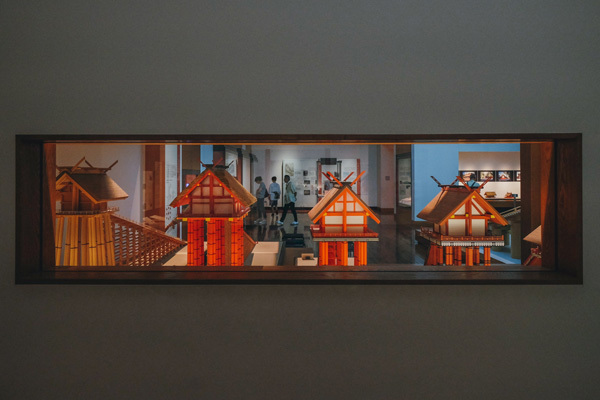 The museum building houses a beautiful collection of Japanese modern art. 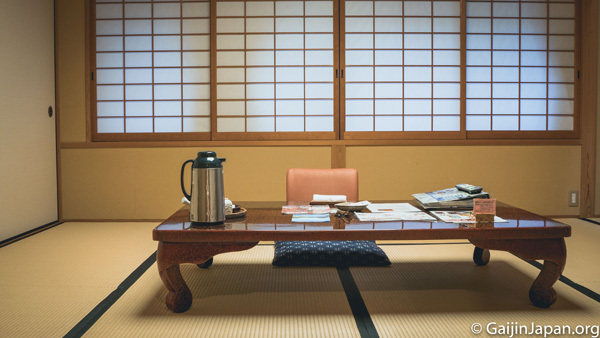 Among other things, there are works by Yokoyama Taikan, including the famous "Autumn Leaves", a painting that summarizes everything that is best about modern Japanese painting. 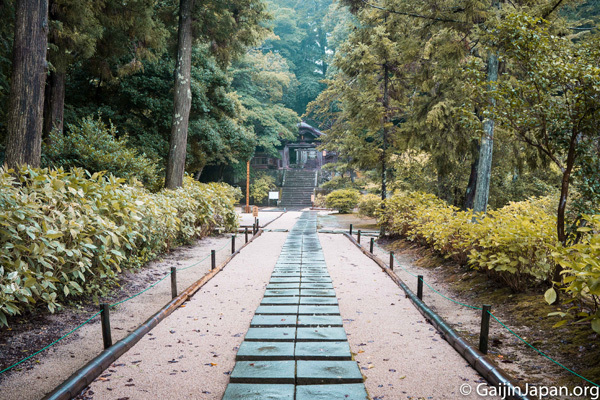 While admiring the collections, I spent a lot of time contemplating the gardens surrounding the museum building. 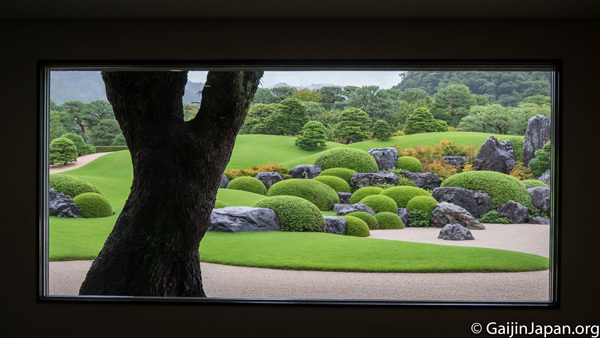 Designed as real living tableaux that can be seen by visitors through the many windows that act as a frame, the gardens of the Adachi Museum marvel with their harmony. 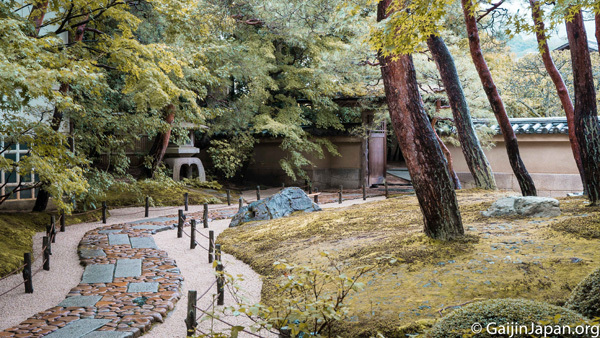 It is very clear why they are classified among the most beautiful gardens in Japan. 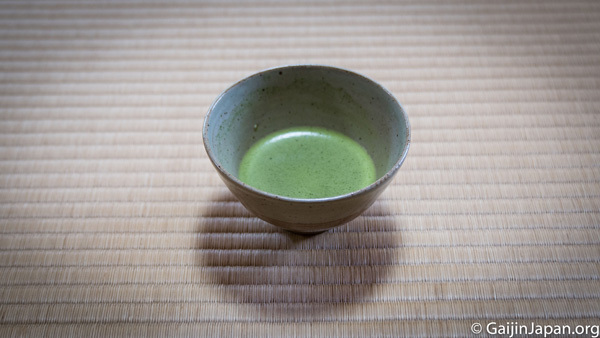 In the Koyokan ryokan, for the first time ever, I had the opportunity to taste Buddhist cuisine, 100% vegetarian. It was a real taste discovery and I have never eaten anything like it. 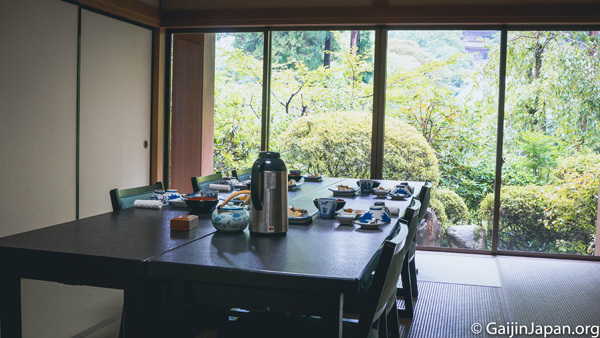 It was a great pleasure to enjoy this extraordinary meal in a quiet establishment, located near the Yasugi Kiyomizu-dera temple that we visited shortly afterwards. I especially enjoyed the stroll in this small port village. 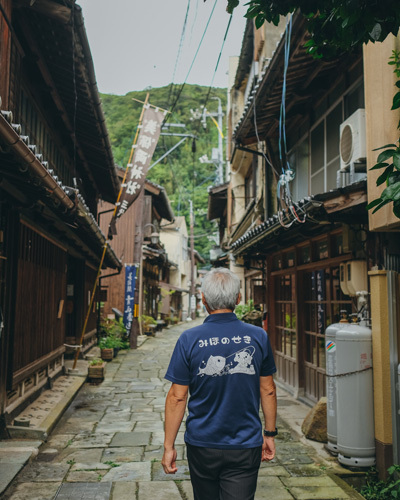 The old wooden houses, very few tourists and an atmosphere like in another era - I think it was an ideal way to end our escapade in Shimane prefecture. 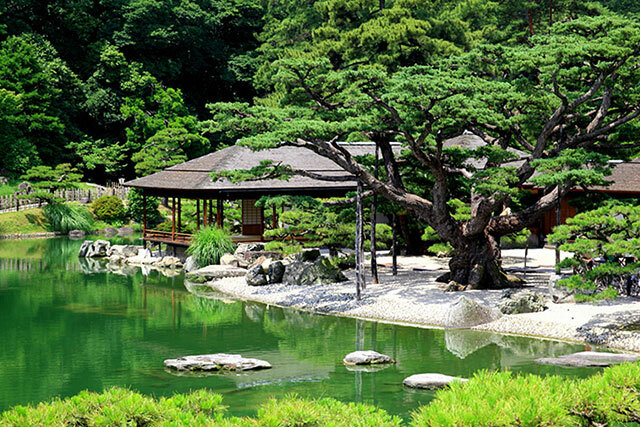 The garden of this Fine Arts Museum has been selected as the most beautiful Japanese garden in Japan. 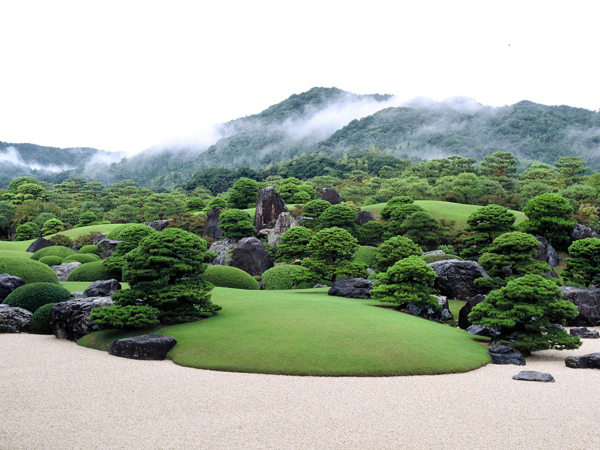 If the Adachi Museum is a Fine Arts Museum that exhibits works of modern art, the building is surrounded by one of the largest Japanese gardens in Japan. 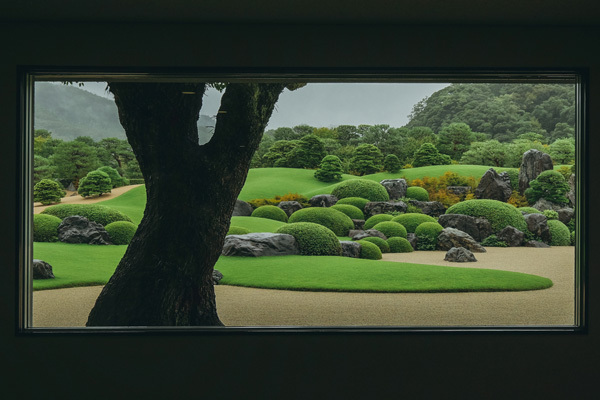 The garden is complex but simple, designed in such a way that you have the impression of admiring a life-size living painting. All details are designed to ensure that the perfect composition is achieved and the surrounding nature is included in this real feat. 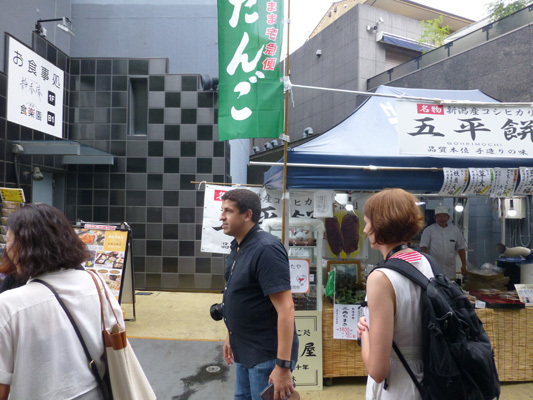 After the museum, we tried Shojin Ryori (Buddhist cuisine) in Koyokan. You may not be a vegetarian and totally enjoy the flavours of this meal. Why? Simply because they are delicious, rich in different tastes and give the impression of eating both healthy and rich food. A really complete meal, in a pleasant setting. 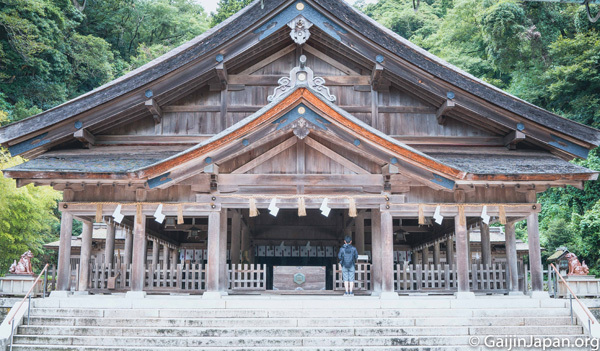 The Miho Shrine is a simple sanctuary characterized by its unvarnished wood. 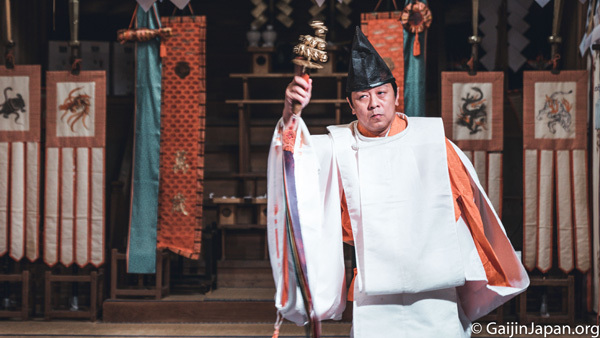 It is an impressive size and allowed us the opportunity to see traditional ceremonies take place with unusual proximity. 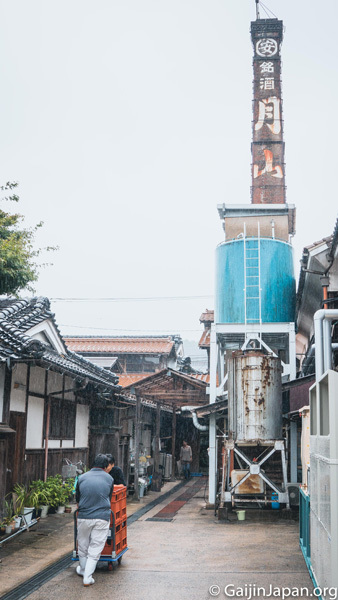 After, the walk in the alleys of Mihonoseki is worth more than the detour. 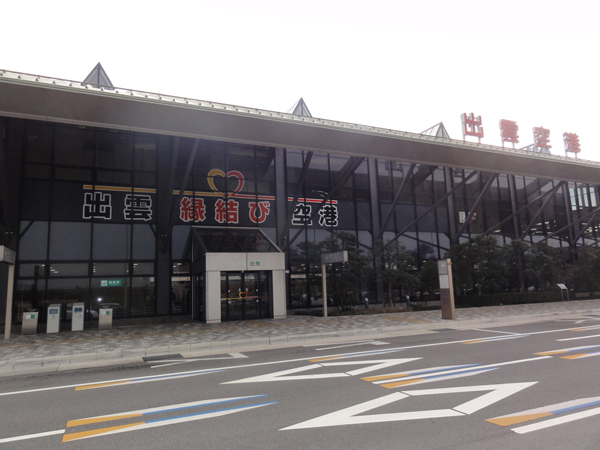 At Izumo airport, we bought "Sora-ben " ("sky bento") for dinner. 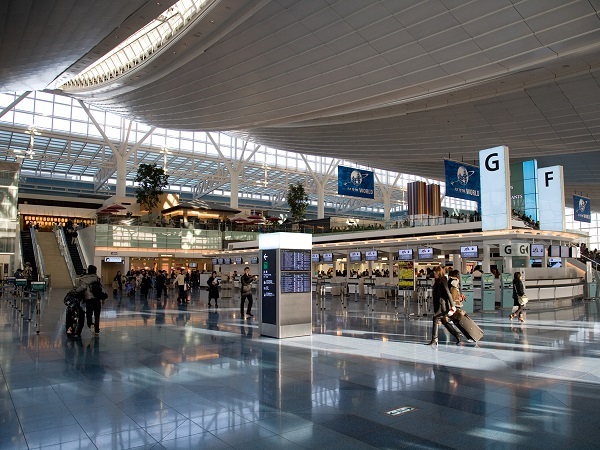 "Sora-ben" is a dish that is prepared to be purchased at the airport to take more advantage of air travel and is also perfect for people who want to eat quickly. 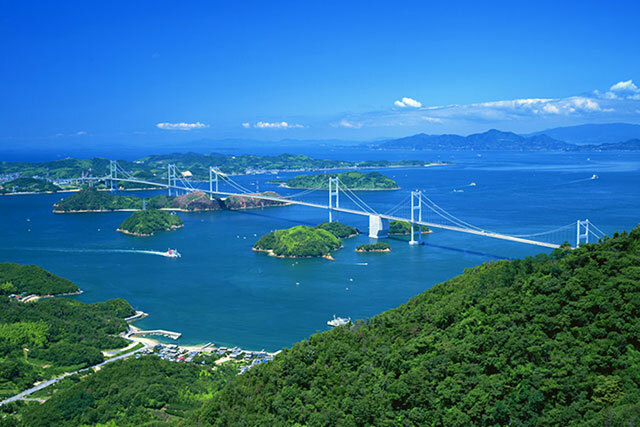 During a short stay in Japan, splitting the visit between several famous Tokyo sites and Shimane Prefecture is a good way to get to know this dream country a little better. 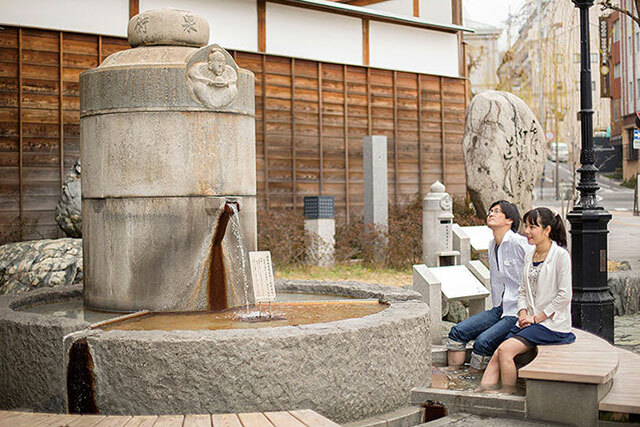 Undoubtedly, it is an ideal route for those who appreciate the extraordinary blend of an ultra-modern and bubbling city with small villages that take you back in time. You can travel while continuously enjoying a plethora of exceptional and surprising dishes. 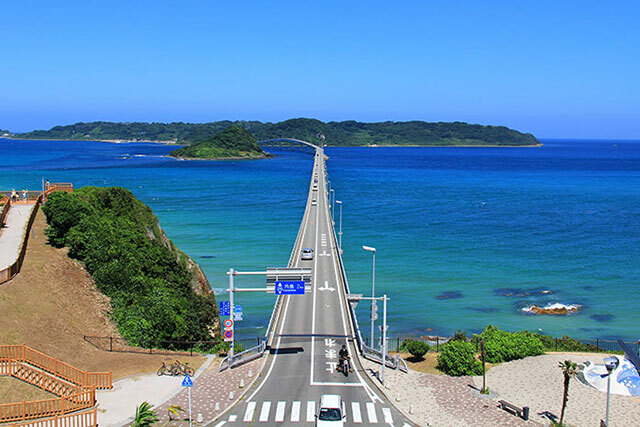 The route is nice, pleasant and above all offers an original mix between Tokyo, its dynamic, modern side, with a huge presence of people and Shimane prefecture where you have the impression to have arrived in another world. 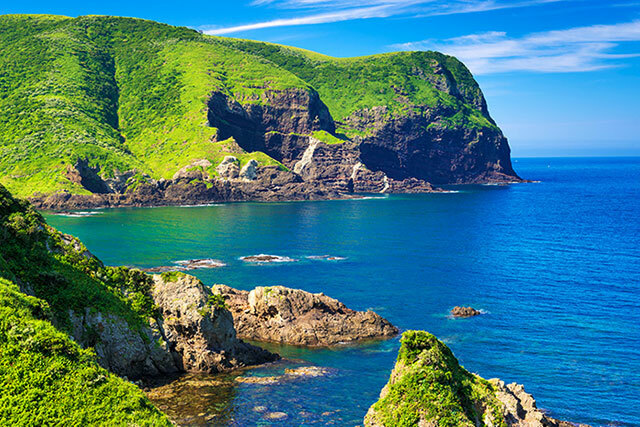 Shimane showed the beauty of Japan with its traditional culture and the serenity of nature. 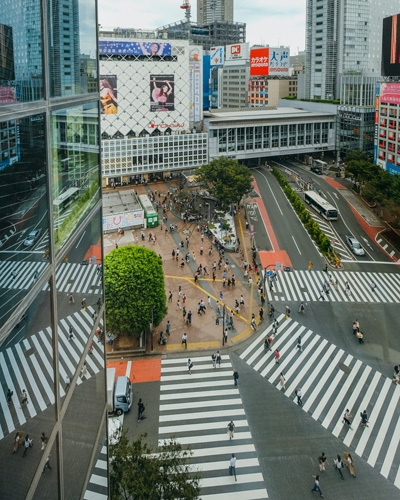 Let's discover Shibuya, one of the most vibrant neighbourhoods in Tokyo and let's get lost in Harajuku, the famous cradle of "kawaii" culture. 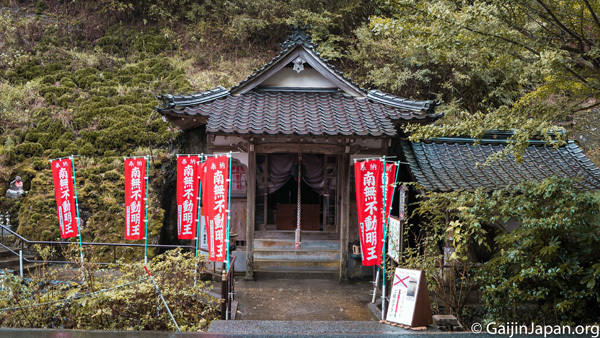 A surprising starting point for a short trip to Shimane's prefecture, full of historical and sacred sites. 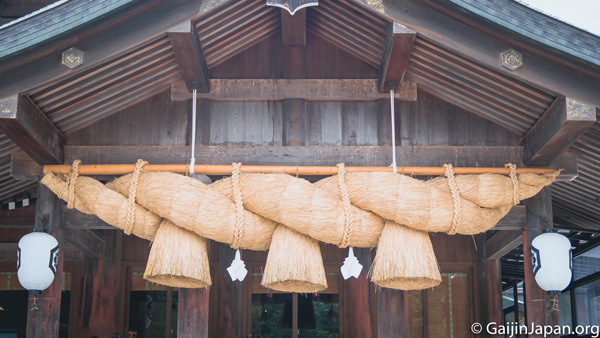 A unique blend of new trends and traditional culture. 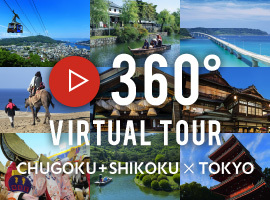 I think this is a tour that can be interesting for those who want to discover the essence of Japan by feeling its "atmosphere" in Tokyo and learning the traditional culture of Shimane, just a few hours away.